Meghan Debski, a Salem High student, was awarded a $5,000 grant from Dominion, the Virginia energy company that owns the Salem power plant, to install a solar light pole in the parking lot at Salem High. She is standing outside Salem High School. 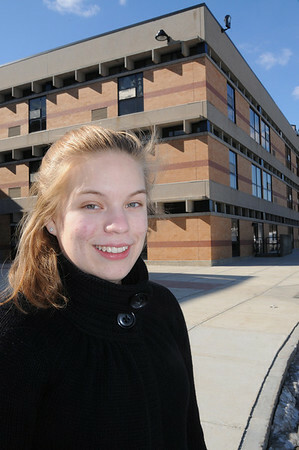 Photo by Ken Yuszkus/Salem News, Thursday, February 10, 2011.